Government is set to celebrate the third International Sagarmatha (Mount Everest) Day on May 29 with various programmes. The celebration is scheduled for two days — on May 28 and May 29. “We are hopeful that the celebration of Mt Everest Day will definitely help encourage Everest summiteers and promote Nepal Tourism Year 2011,” said Ranjan Krishna Aryal, secretary at Ministry of Tou-rism and Civil Aviation. “The celebration is scheduled for May 28 and 29,” Aryal said adding that during the celebration Everest Summiteers from around the world will be invited for the Everest Summiteers Seminar that the ministry has planned. The ministry has also formed a special committee for the celebration of Sagarmatha Day that will be headed by minister of Tourism and Civil Aviation Sarat Singh Bhandari. According to Nepal Mountaineering Association (NMA) it has expected more than 250 Mt Everest summiteers — including renowned climbers like Chris Bonington, Peter Habelar, Apa Sherpa, Min Bahadur Serchan, Dawa Steven Sherpa, Bill Burke, David Liano — to attend the programme. The NMA has also requested the government to regard the summiteers as the Goodwill Ambassadors of Nepal to promote Nepal’s mountain tourism. Nepal has opened a total of 326 peaks for climbing. The higher 293 peaks are managed by Ministry of Tourism and Civil Aviation while the lower 33 peaks are managed by Nepal Mountaineering Association (NMA). This Spring Season, MoTCA has already issued permits to 80 Expedition Teams for climbing various higher peaks including Mt Everest and still few more teams are in the pipeline. Similarly, NMA has already issued permits to 358 climbing teams to scale 33 Peaks of NMA and many more teams are expected to arrive before the monsoon in June. In the year 2009, NMA had issued permit to 1210 climbing teams. Mount Everest — also called Qomolangma Peak, Mount Sagarmatha, Chajamlangma (Limbu), Zhumulangma Peak or Mount Chomolangma — is the highest mountain in the world and the highest point on the earth’s continental crust, as measured by the height above sea level of its summit, 8,848 metres (29,029 ft). The mountain, which is a part of the Himalaya range in Asia, is located on the border between Nepal and Tibet, China. The highest mountain in the world attracts well-experienced mountaineers as well as novice climbers who are willing to pay substantial fees to professional mountain guides to complete a successful climb. By the end of 2008, there had been 4,102 ascents to the summit by about 2,700 individuals. 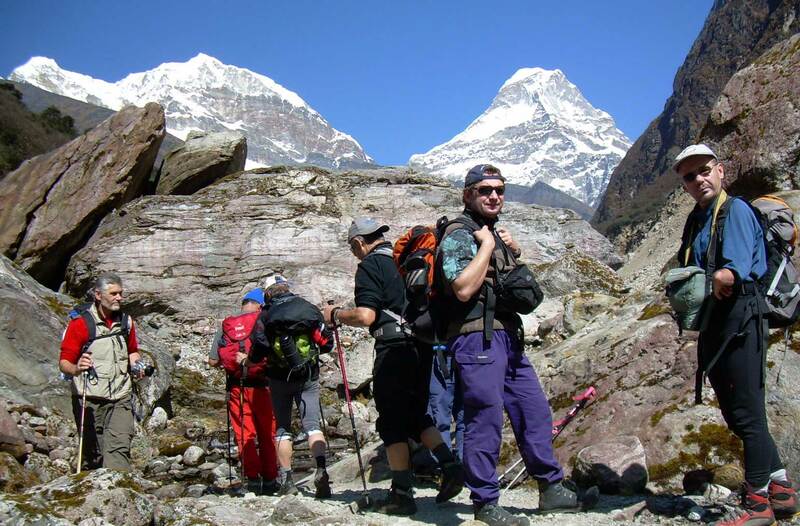 Climbers are a significant source of tourist revenue for Nepal.